Two of director Fritz Lang’s personal favorites among his prodigious oeuvre will play Friday night (Oct. 24) at the Los Angeles County Museum (Lacma)’s Bing Theater: “M” (1931), which he made in Germany, and “While the City Sleeps” (1956), one of his final Hollywood films. 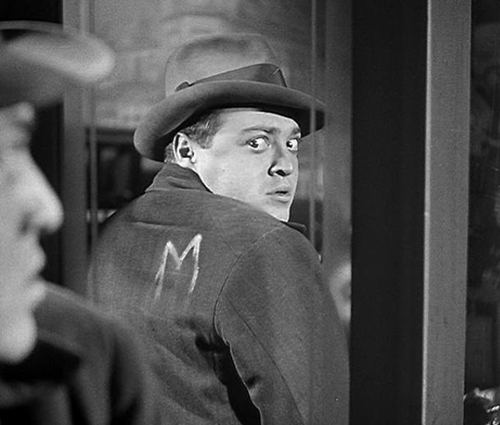 Considered by some critics to be a prototype film noir, “M” stars Peter Lorre as a child killer on the run from both the police and his fellow criminals. It is a deeply chilling performance by Lorre in an unforgettable film. “While the City Sleeps” is a cynical newspaper saga starring Dana Andrews, Ida Lupino, Rhonda Fleming, George Sanders, Vincent Price, Howard Duff and John Drew Barrymore. Andrews plays a New York City journalist on the trail of a serial murderer. The screenings are presented in conjunction with the exhibition Haunted Screens: German Cinema in the 1920s, an exploration of German Expressionist films, co-presented with the Academy of Motion Picture Arts and Sciences. Vincent Price and Rhonda Fleming are up to no good in “While the City Sleeps” from 1956.